There is something uneasy about the whole thing... I feel sad that the search ahs not revealed the aircraft, the a cause can not be found, and I feel even worse for all those that lost someone dear on that flight. I spent an evening a few days ago looking through youtube... lots of conspiracies but hard to find actual, and true facts... CNN seems to have a lot of clips uploaded about the flight. Will we ever know, will we ever get to learn why the aircaft disappeared? And with the search ended, what is the status on implementation of better tracking of aircrafts in the future? I don't know if anyone here reads my bLOG but if you don't, I uploaded an entry with some personal thoughts about the missing jet. Would love to hear any of your opinions on either the bLOG entry or the disappearance itself, after all these years and the end of the search. Not a single day passes without me thinking about this missing aircraft... will we ever get to know what REALLY happened on that flight? Will we ever know what happened?? As I mentioned before, there is not a single day passing by without me thinking about this disappearance and this flight. I find it totally unacceptable that we have not put more into finding the aircraft - I think it is important for all commercial aviation that we find the reason(s) and cause(s) behind the mystery. Australian investigators deliver their final report into the plane's 2014 disappearance. It is humbling to think/know that we still live in a world where a ship departs and never returns without a trace. I saw this news as well.... I hope the negotiations about the details all pan out so that the search can start as soon as possible. I've said it before and I still stand by my words, not a single day passes by without me thinking about MH370. In my opinion, the whole aviation world deserves to find out what actually happen to that flight - and all those on board. According to an late-August article in Bangkok Post, Malaysian Airlines hasn't give up on the search of MH370. In this article, Australia's main scientific agency believed with "unprecedented precision and certainty" that the missing aircraft crashed into the sea northeast of an area scoured in a fruitless two year underwater search. Their assertion is based on satellite pictures taken two weeks after the flight went missing. These satellite images had been provided by French military intelligence service and France's national space agency. These images apparently showed some 70 pieces of probably man-made pieces of debris. The Australian government however rejected the assertion because it was not "specific enough". Australia, Malaysia and China called off a Aus$200 million search, back in January after finding literally nothing. Personally, I find it extremely odd that these satellite images have not been looked into further - they are clearly evidences in the disappearance. I'm so thrilled to hear that the search is to be resumed again - now it's up to them to find the missing aircraft and to bring an end to all the questions. May prayers goes out to them with hope of a solution. Basically, a 2012-built Chinese ship by the name Dong Hai Jiu 101 is now under investigation by Australian Intelligence for spying on the Australian Navy. According to Chinese Government, the ship is a search- and rescue ship. The ship has since April 2017 been searching for the missing Malaysian aircraft. The thing is that Australian Intelligence thinks that searching for MH370 is not the ONLY thing they are doing. MH370: Is China spying on Australia? A NUMBER of security experts have raised suspicions over a Chinese ship tasked with searching for Malaysia Airlines flight MH370, saying they’re more likely to be spying on Australian military activity. They must be sure of their method and whatever new info they are basing their search area on. I was surprised as well but I guess this is the only way to get the job done, since funding seem so hard to find. And I do agree with you, ombugge, they must be really certain they'll be able to find the missing aircraft. 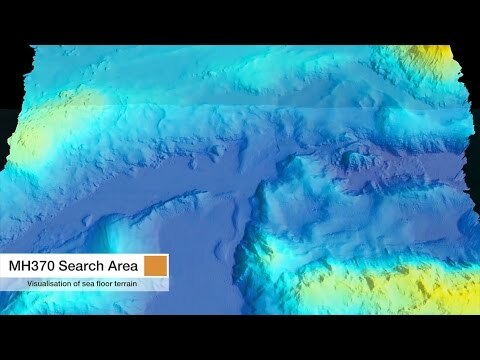 Seabed Constructor disappeared from AIS-maps for several days and speculations grow. Did she find something, or did she have a look at another ship wreck which was found in earlier search... ?